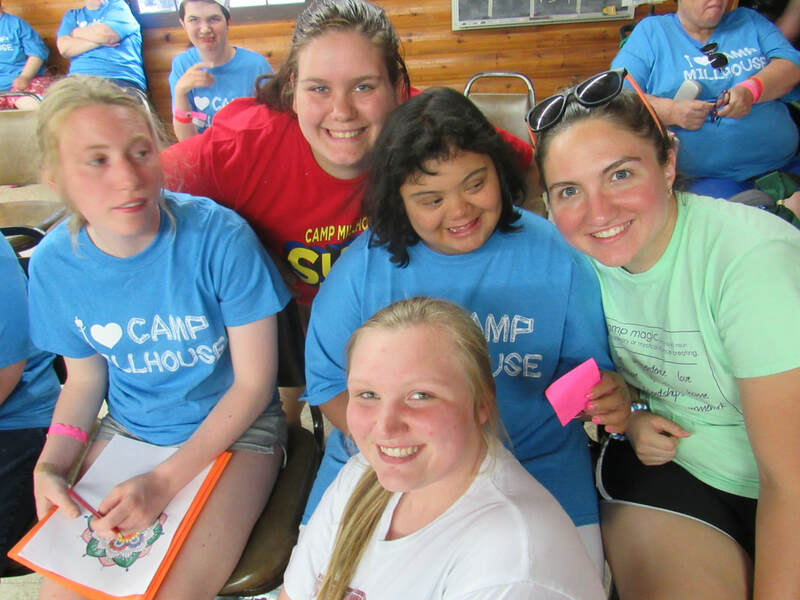 Closing Ceremonies are a Camp tradition, and are such a wonderful way for us to end a week full of festivities, friendships, and fun! 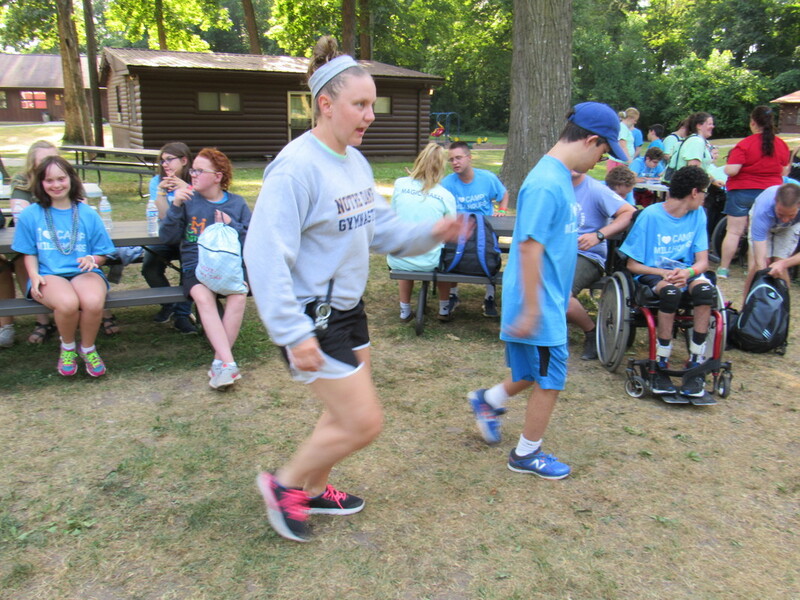 They are held on the last day of camp at 4 p.m.
We begin our Closing Ceremonies by gathering around the camp fire to dance and sing along to all of our favorite camp songs! 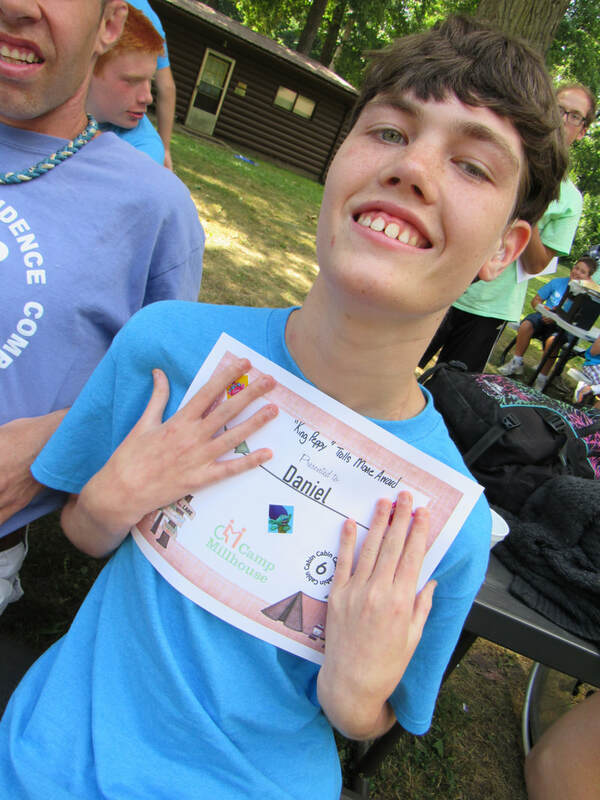 We then have our highly anticipated awards portion which gives each camper some special recognition for their exciting accomplishments and successes during the week! When all the awards have been given, we move to the picnic tables for our end of camp picnic! The cooks bring us hot-off-the-grill burgers, chips, veggies & dip and the doughnut man provides our dessert - Krispy Kreme doughnuts! It's a great time outside, eating a delicious camp meal and just hanging out with our friends. When dinner is over, we turn up some tunes and dance and have fun. Too soon it's time to head over to the black top to wait for our parents and caregivers to come pick us up. 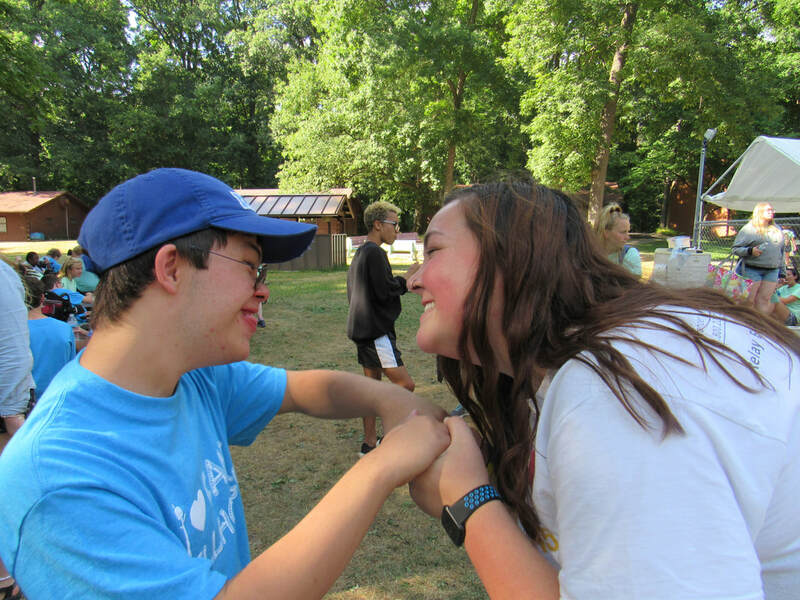 We give those last minute hugs and high fives while dreaming about next year at camp.